Kevin Syes: Your book talks about the authority, sufficiency, and inerrancy of Scripture. Was this book a reaction to a trend you see in the culture or the church? Do you feel that this view of Scripture is under attack? Kevin DeYoung: The doctrine of Scripture is always under assault. On the one hand, I wasn’t responding to any specific crisis. I wrote the book to be a useful primer for discipleship and leadership training in the church. And yet, there are all sorts of ways in which our high view of Scripture is constantly threatened. We doubt that it is enough. We doubt that it’s all trustworthy. We doubt that it can be understood. We doubt that it can stand up to the scrutiny of science or reason. We need renewed confidence that the Bible is God’s word and we submit ourselves to all of it. Kevin Syes: You mention in the book that many Christians would affirm a high view of Scripture, but they don’t live like that is true. Can you speak to this? Kevin DeYoung: Let me give just one example. We talk about how the Bible is completely true, but then we act as if we can’t really discern its truth for ourselves. At a practical level , we aren’t convinced of the Bible’s clarity or perspicuity. We’ve seen this recently on the issue of homosexuality with certain voices calling for a moratorium on debating the issue because, it is said, there are two good positions out there held by very smart people and who are we to try to settle things? But, of course, PhD’s disagree on almost everything in almost every field of human investigation. Evangelicals can be too quick to say “that’s just your interpretation” instead of actually making an argument from the Bible for their own position. The Bible isn’t equally clear in every place, but all we need for life and godliness can be understood with prayer, good teacher, and a little effort. Kevin Syes: Why do you feel that a believers view of Scripture is so important? Kevin DeYoung: Everything we believe as Christians flows from our understanding of the nature and authority of Scripture. If we get the doctrine of Scripture wrong, other wrong things are sure to follow. Similarly, what we believe about Scripture Is a reflection of what we believe about God. Is he clear? Is he enough? Is he necessary? Can he be trusted? A defective view of the Bible not only leads to a defective view of God, it suggests we already have a defective view of God. Kevin Syes: You start the book by unpacking Psalm 119. Why did you decide to start with that Psalm? Kevin DeYoung: I wanted to start at the conclusion. Psalm 199 is this great love poem about the Bible. It expresses what we should think and how we should feel about the word of God. The Psalm is a good check for our own hearts: Do these 176 verses remind me of my attitude toward the Scriptures? Kevin Syes: This book isn’t a deep doctrinal study on Scripture. It has a very practical feel while still being grounded in Scripture. Can you talk about the decision to take this approach? Kevin DeYoung: I’m always thinking of the book table we have in the back of our church. I want the college students and moms and Bible study leaders and new Christians and lay elders walking by those books to find something they are interested in. These are smart people, godly people, but by and large they don’t have the time or the inclination to read the best scholarly literature. I want to put the cookies a little lower on the shelf so that more people can enjoy them. Kevin Syes: I really liked the way you describe “first principles” at the end of chapter 1. You mention that “you can’t establish the supreme authority of your supreme authority by going to some other lesser authority.” Can you talk about what this means? Kevin DeYoung: We all have some final authority—science, parents, impressions, experience, government, peer review, whatever. And how do we convince people of this absolute authority? We can’t appeal to something other than this authority or that thing would be an even greater authority. Does this mean we are arguing in circles? To a degree, but everyone has to argue this way. And it means that as Christians, while we want to demonstrate the reasonableness of trusting the Bible, we can’t subject the Bible to any other authority, because there is none greater. Kevin Syes: Often people want God to speak “directly” to them. The idea is that Scripture is great, but hearing God’s voice directly would be even better! You talk about this attitude in the book. Why do you think this attitude is sometimes harmful? 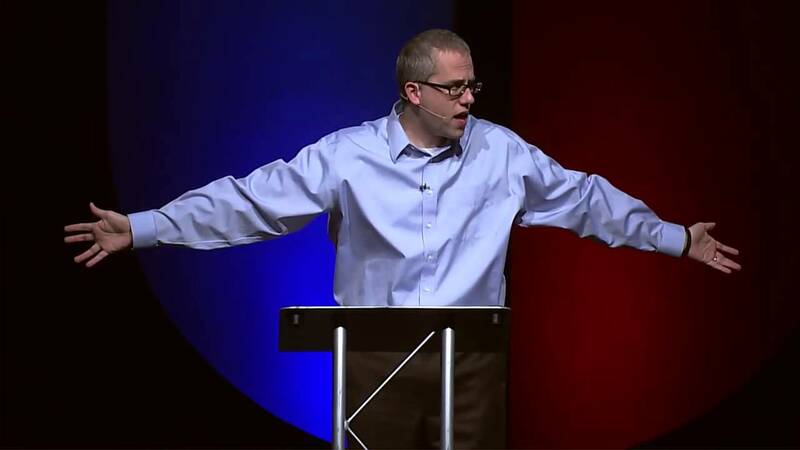 Kevin DeYoung: God continues to speak. We don’t have to pray for the word of God to come alive. It is already living and active. But God is not revealing new information about the Son of God or how we are saved. I don’t have space here to unpack the argument, but the book of Hebrews makes the case that redemption and revelation both have their finality in Christ. The two aspects of Christ’s work cannot be separated. There is no sacrifice for sin left to be made and no new revelatory work needed for faithfulness as a Christian. Kevin Syes: What does this book have for a mature believer who already sees the value of Scripture in their lives? What does the Bible have for the mature believer? Everything! Obviously, I’m not comparing this book about the Bible to the Bible itself. But there is always more to learn from God’s word and about God’s word. I think even the seasoned saint will find new things to think through and new issues to contemplate. At the very least, I hope they will be strengthened to stick with the Scriptures and take God at his word.